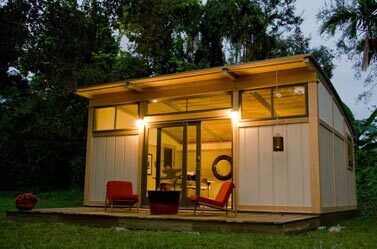 The Metro Cabin is a small prefab getaway; you can use it as a studio, an extra room, a pool-side cabana, or a lakeside retreat. 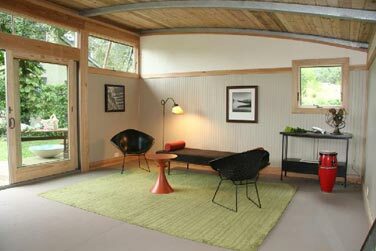 This prefab cabin comes with a sturdy yet sophisticated design, and in my opinion has a bit of a Japanese influence to it. The Metro Cabin base structure is a unique META Floor SystemT. 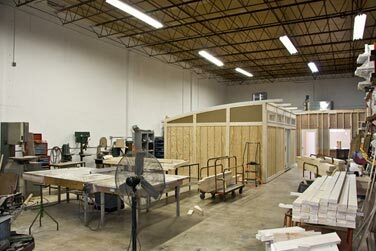 It comes with 13 pre-assembled wall sections, durable southern yellow pine paneling, insulated PGT windows and a curving roof line with a pine roof deck and exposed beams interior. 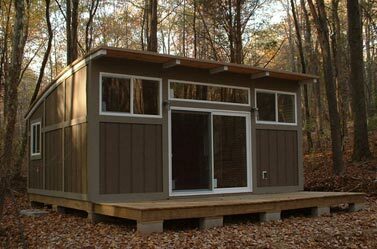 The most popular larger size, a 16 feet X 20 feet cabin, will cost you about $32â€™500 however, if you’re looking for something smaller, why not go with the mid-size cabin of 12 feet X 16 feet? It’s only $19â€™500. 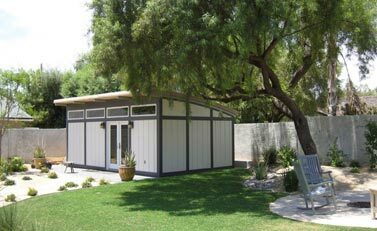 who is the manufacture on this prefab home? is this available in the US?